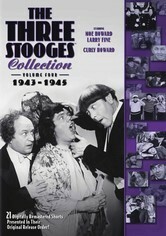 Spanning 1943 to 1945, the fourth volume in this collection of Three Stooges shorts features some of Curly Howard's final film appearances. 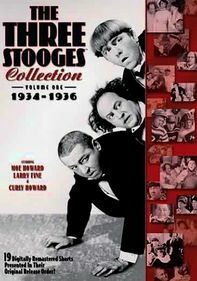 Highlights include "I Can Hardly Wait," "Idle Roomers," "Dizzy Pilots," "Three Pests in a Mess," in which the Stooges play inventors who are trying to get a patent for their fly-catching machine, and "A Gem of a Jam," in which the guys take jobs as night-shift janitors. Parents need to know that extreme slapstick violence is non-stop from beginning to end in each of these shorts including scores of head poundings with wrenches, hammers, boards, lamps, shoes. There are explosions, gunshots, collapsing buildings, as well as lots of pies-in-the face. 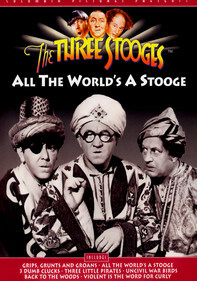 Silly plots serve to keep the Stooges in harm's way at all times -- and they wreak havoc on everyone who has the bad luck to meet up with them. 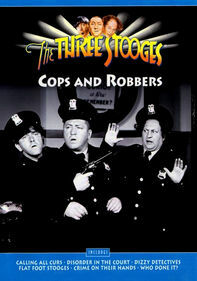 Made during the mid-1940s, many of the films include ugly stereotypes of American WWII enemies (the Japanese are called "Japs" throughout), and African-Americans are all depicted as lowly caricatures. Women and girls are either ogled or portrayed as repressed and bossy. 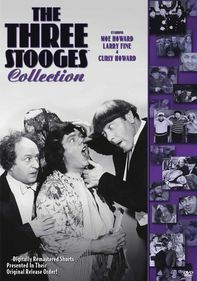 Still, the Three Stooges have a long history of appealing to that juvenile part of human nature that keeps both kids and adults laughing at the hapless calamity of others. The Stooges occasionally ogle pretty women. Some overblown kisses. Extreme slapstick from beginning to end, most of which would have serious consequences in real life. 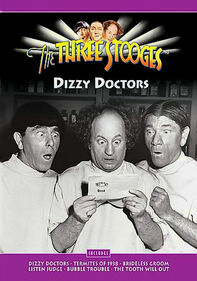 The Stooges (and their foes) are: drilled, shot at, drenched, exploded, crushed, gouged, spiked, hammered, slapped (hard and often), poked, twisted, burned, guillotined, punched, pounded, sawed, electrocuted, smacked, hit with pies, and dropped from high places. They are often stalked and/or frightened by spooky, threatening characters (most created with cheesy special effects): apeman, skeleton, talking statues, mummies, World War II villains, The Wolfman, mad scientists, thieves, etc. No one is ever severely injured; though villains are knocked out and blown up, none appears dead. Plenty of insults: "idiot," "grapehead," "porcupine," "dummy," and many more. 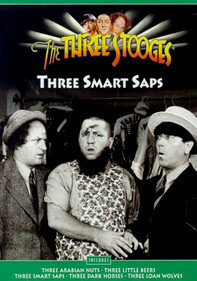 Many of the shorts include ethnic slurs, directed at U.S. wartime enemies (i.e. "Japs"). There is a pro-underdog message in that even the bumbling good guys win, while all bad guys lose. 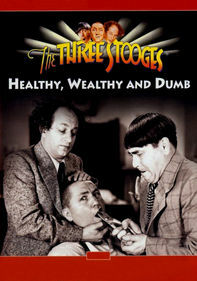 The Stooges show that families stick together for better or worse. But the racial and ethnic stereotyping, while mainstream at the time these shorts were made, don't send a good message to kids. Occasional cigar smoking and chomping.